Investing in a conservatory is a great way to extend your living space, providing a bright, airy room that connects house and garden. Therefore, conservatories will give busy households some valuable extra breathing space. A conservatory from Elvington could truly transform the way that you live. Getting closer to your garden, adding value to your home: these are all advantages of investing in conservatories. The beauty of a UPVC conservatory is that you can purpose-design the space to suit your property and the needs of your family. 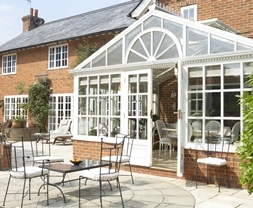 Conservatories come in a variety of shapes and sizes, differing in many factors such as style and material structure. Of course, with such a wide variety of options, prices will differ accordingly. So it is always advisable to first ascertain exactly what you want from your conservatory before you make your choice. Whether you are looking for just a little bit of extra room or would prefer a larger, much more elaborate design.